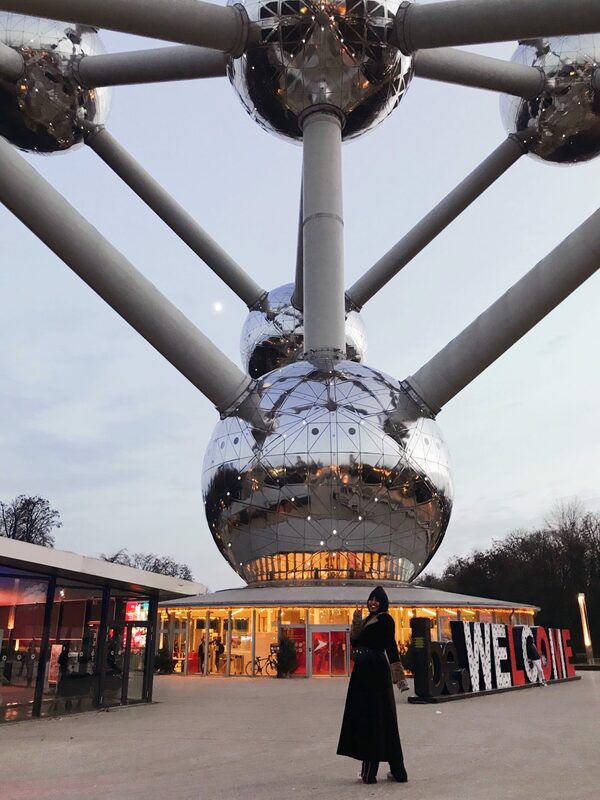 even though i only spent a weekend in brussels, i managed to jam-pack my itinerary so i thought i’d share it with all of you so you too can make the most of your trip even if time is limited! since we went in december (and weather was about as wintry as it can get without snow), we spent most of our trip indoors and cosy. if you go at any other time of year, however, there are a multitude of beautiful parks and gardens to visit which would all be in bloom. there’s also the comic strip walk around town! 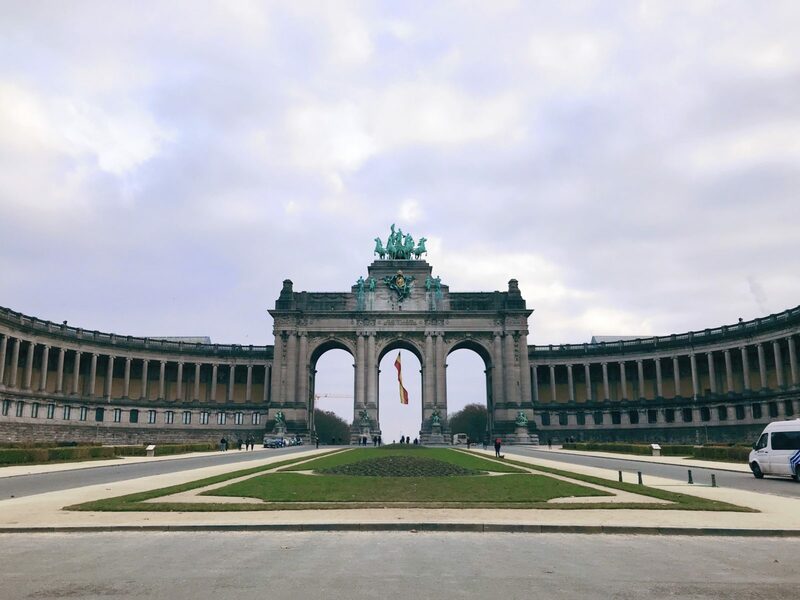 i had the morning to myself before nat arrived so i had a little wander through the centre of brussels and saw a few of the museums. 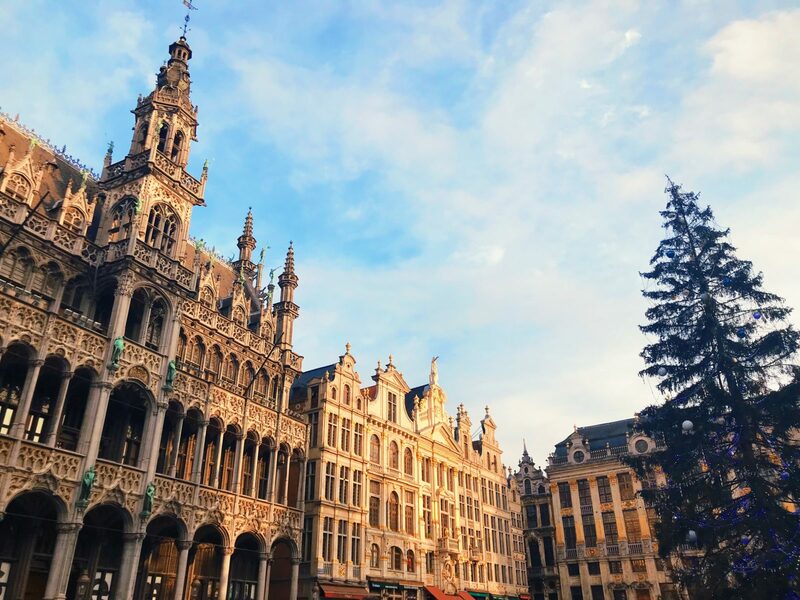 i started with the grand place where the architecture was beyond gorgeous and since it was pretty sunny, the gold truly glowed. 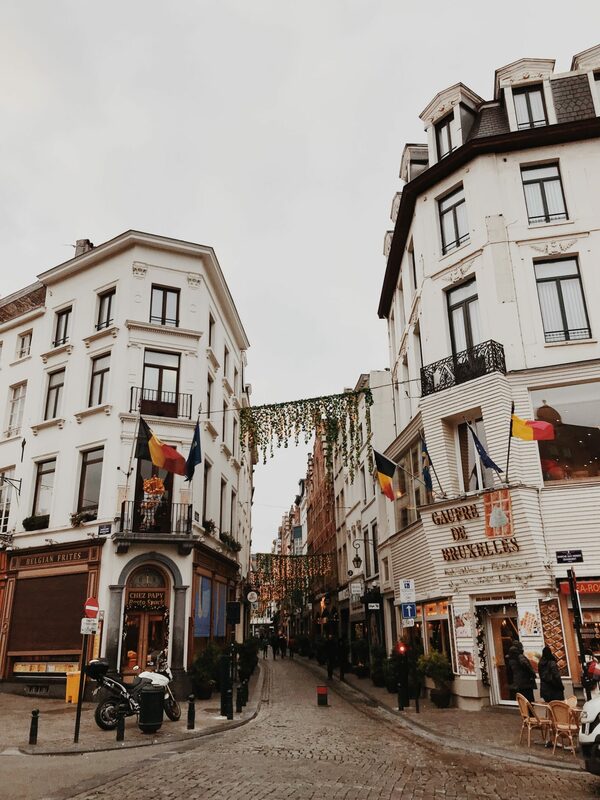 besides being the home of astounding architecture and mouth-watering waffles, belgium is also known for its comic book culture so my next stop was the belgian comic strip centre. 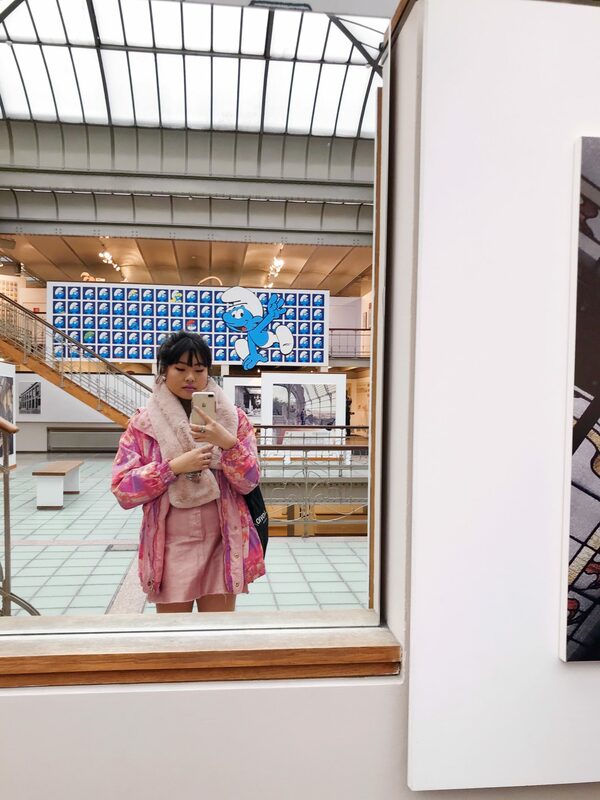 besides displays on everyone’s favourite belgian comic book characters such as tintin and the smurfs, there was also an exhibition area exploring the creative process of comic book artists. we were taken from initial sketches based on text all the way through to the final glossy printed version. 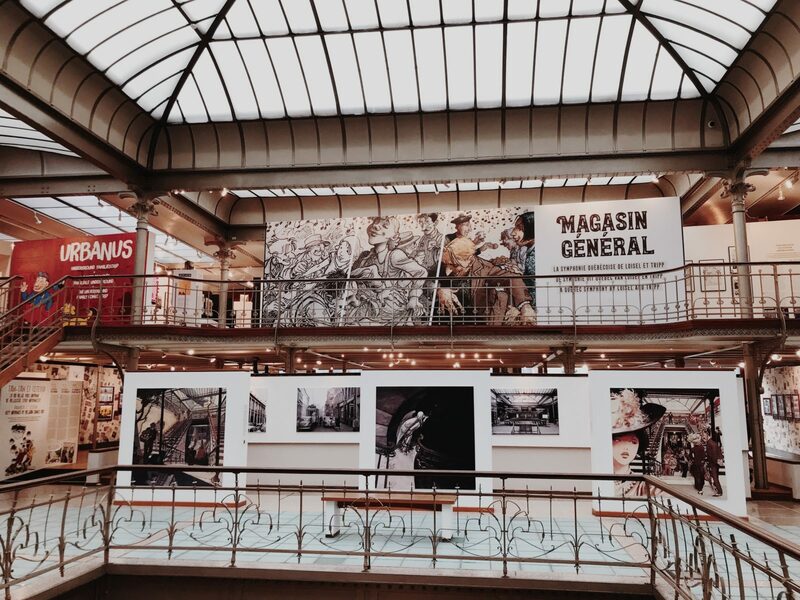 when i visited, there were also temporary exhibitions for magasin général and urbanus. although i’d never heard of either of them before, both exhibitions were very interesting. magasin général has a subtle, rich, and emotive style whereas urbanus is all about simplicity and brash humour. i then stopped off for a quick coffee and croissant at arcadi café before i went to the art & history museum. i was rather surprised by how quiet it was considering it’s one of the biggest art museums in europe but it meant i could amble around in peace before heading back into the centre of town. one display that caught my eye in particular was a collection of super intricate shadow puppets from indonesia. my last stop before meeting up with nat was the brussels city museum. 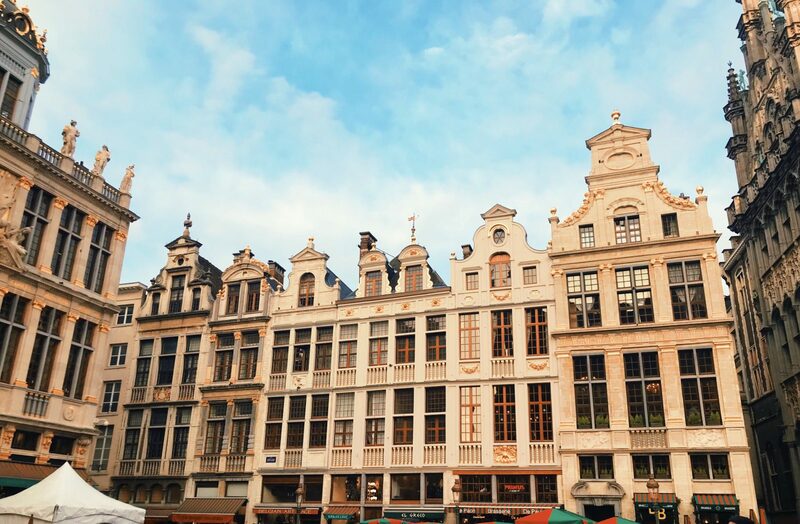 it gives an extensive and comprehensive view of the entire history of brussels and on the top floor, there’s an entire room dedicated to the manneken pis. the original statue, as well as some of its quirkier outfits, are on display. 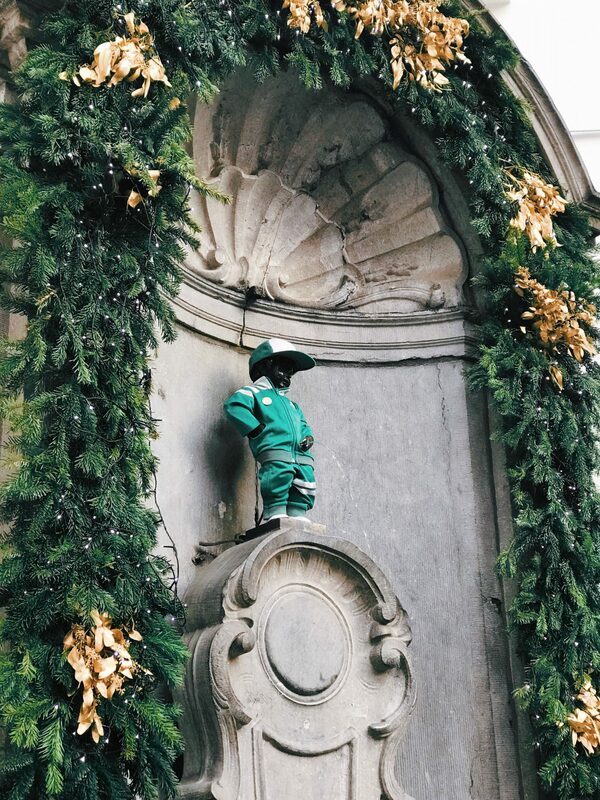 after finally tracking each other down (you would not believe how difficult that was in and of itself), we took some piccies and went to find the manneken pis. its outfit du jour was a matching pair of green trackies and a snapback! how very irish roadman of him. 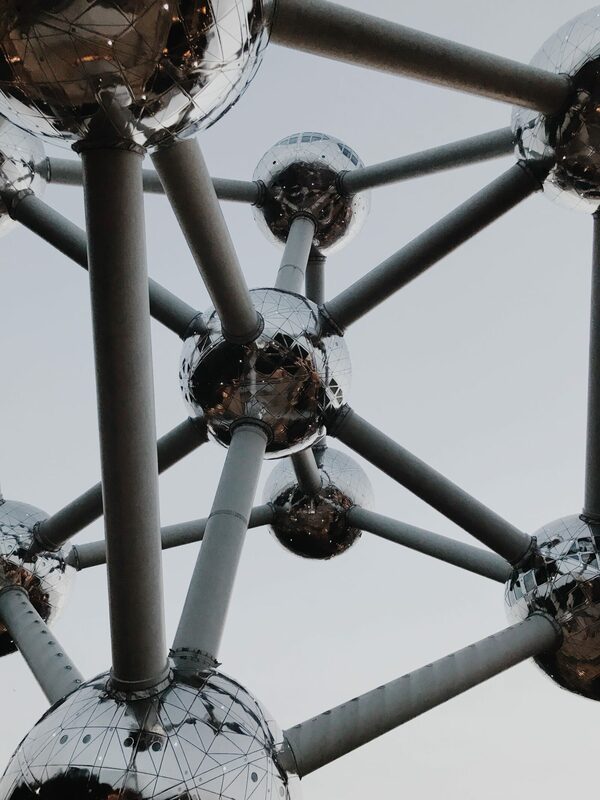 we then took a lil trip out of the centre of town to see the atomium. we didn’t go inside because most reviews said it wasn’t worth the price but i’d definitely recommend going to see it. i’m not sure what i expected but seeing it from up close was mind-blowing. it truly towers above you and the structure itself is so cool and geometrical. after sunset, it gets covered in hundreds of sparkling lights so we were treated to a really rather magical sight. for dinner, we went to dolma restaurant for a vegan buffet. 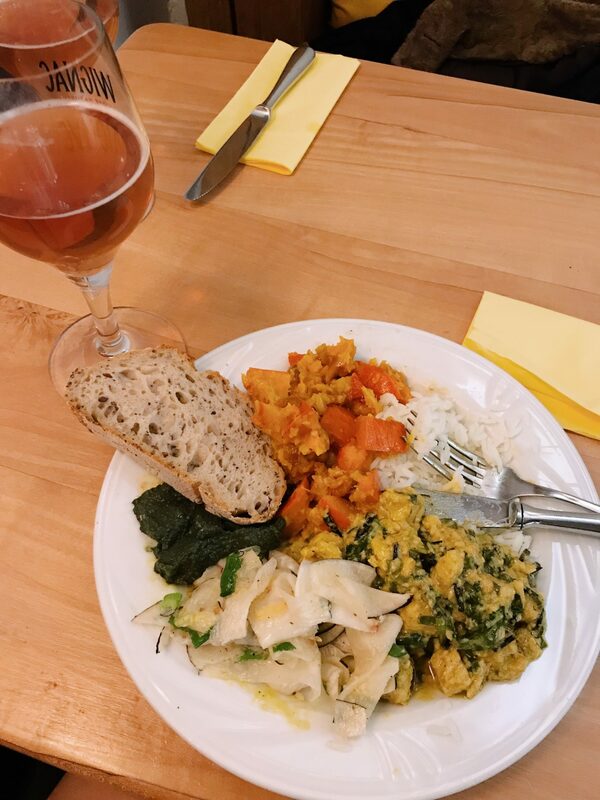 whenever i travel with nat, we seem to discover the most wonderful vegan food ever (throwback to that filo parcel in amsterdam that i still dream about on the reg) and this time was no different. i was stuffed to the gills by the time we left and could barely breathe. the menu changes daily but the standout on that night was their sweet potato dish. my description won’t do it justice but it was this glorious flavour explosion with crunchy pine nuts and fragrant spices. my god. 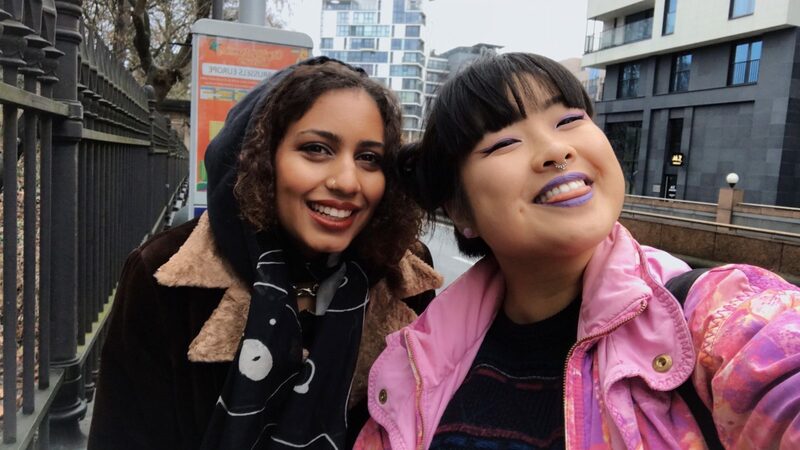 we spent our second day museum and gallery hopping, which seems to be our standard activity whenever we can swing a meet up. 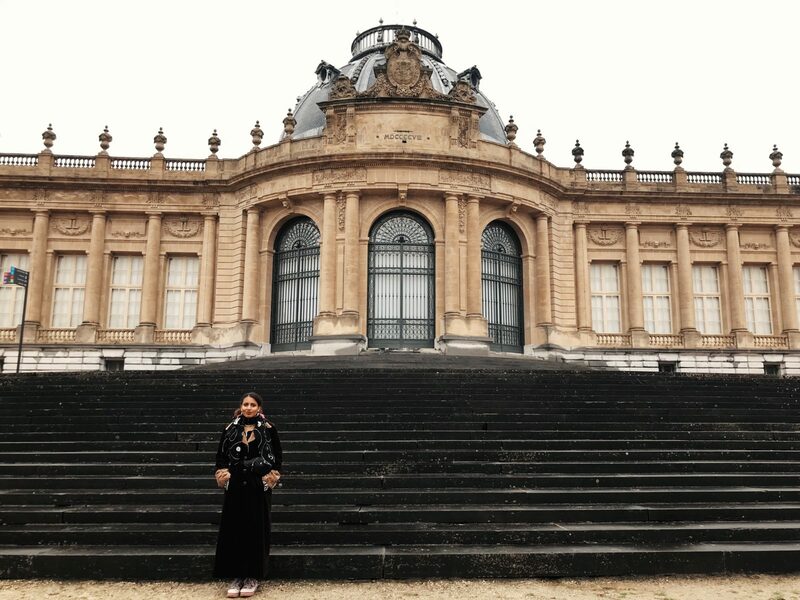 we took the tram out towards tervuren to go to the royal museum of central africa, which had serendipitously just reopened after 5 years of refurbishment. we then made our way back into the centre to go to the main art galleries. 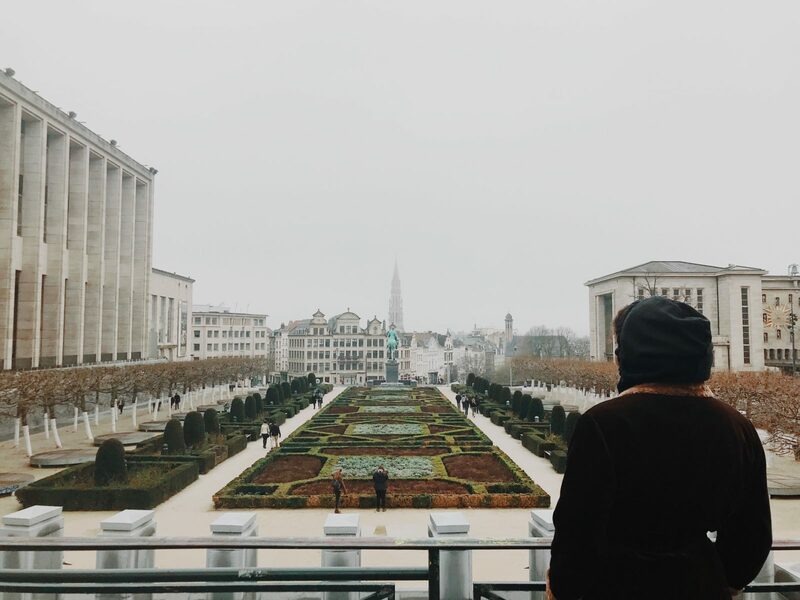 we stopped at mont des arts and i finally had a belgian waffle!!! i was honestly overjoyed to find out that they’re everything they’re hyped up to be. so fluffy and so crispy and so warm!! we finally started our art gallery exploration with the magritte museum. it’s the world’s largest collection of Magritte artworks and is just so beautifully curated. 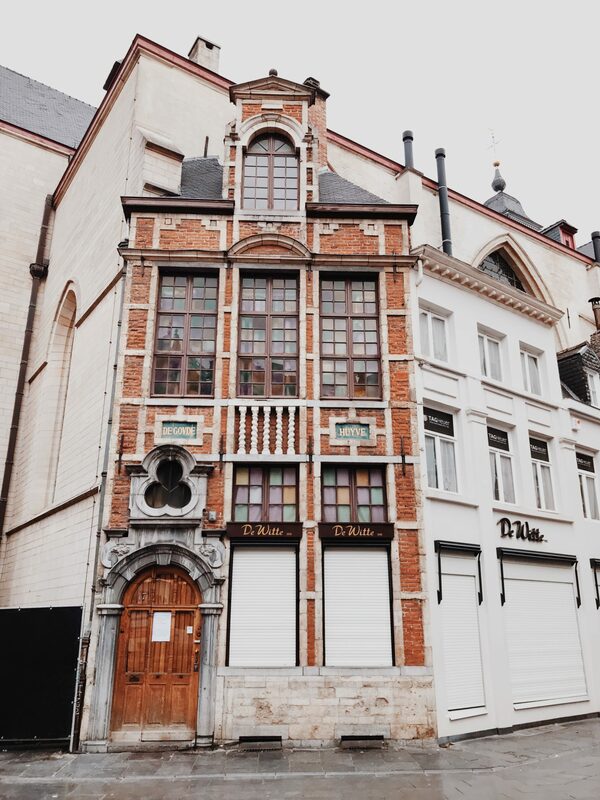 if you only have time to see one art gallery whilst you’re in brussels, it has to be this one. 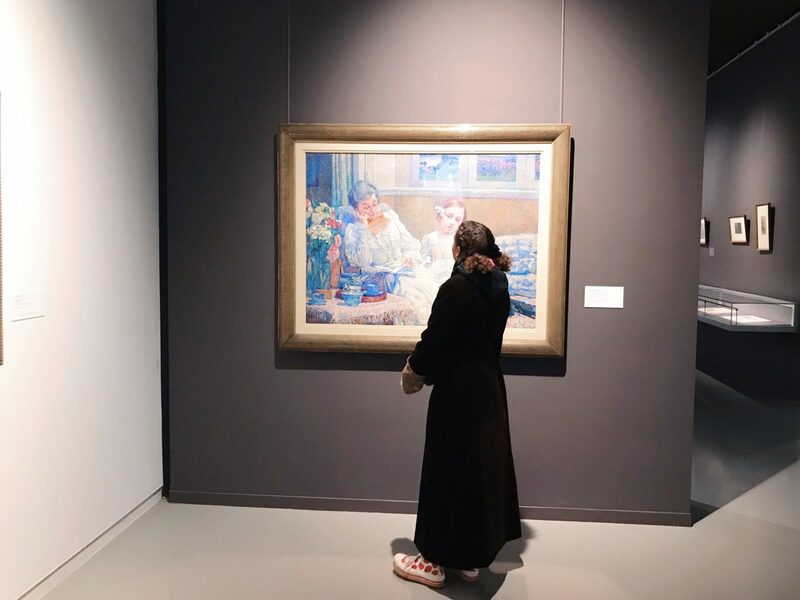 his mastery of colour is truly astounding and seeing his paintings in real life was like a dream. we then went to the musical instruments museum, which seemed like an intriguing concept. it was filled with instruments from different countries and different eras, some of which i’d never even heard of before. my favourite items were the chinese zithers as well as an adorable keyboard that looked like the lovechild of a jukebox and a smeg fridge. 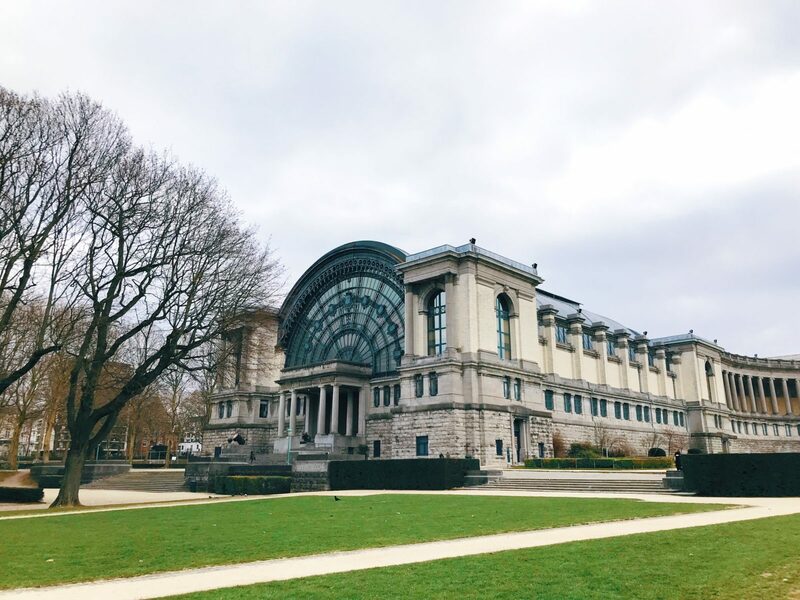 we went back and did the circuit of the royal museums of fine arts of belgium, visiting the oldmasters museum, the fin-de-siècle museum, and the museum of modern art. 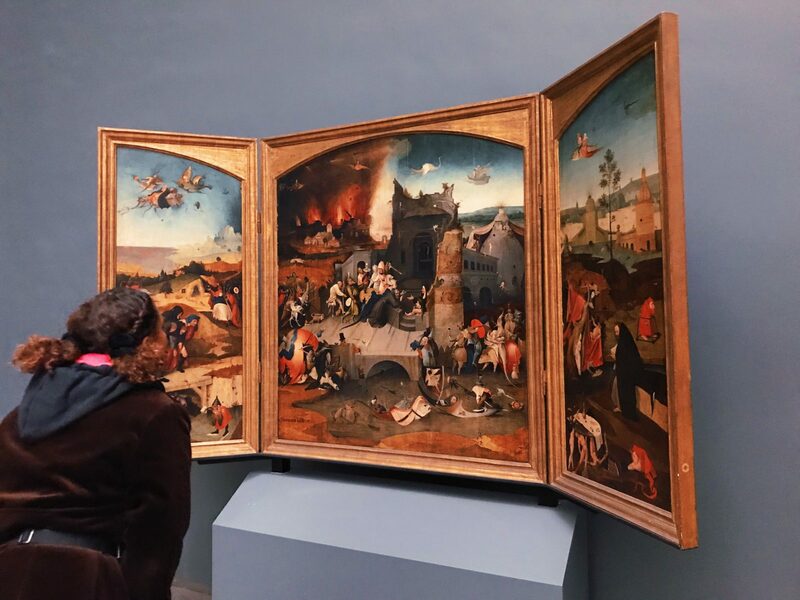 one of the highlights had to be the bosch in oldmasters. 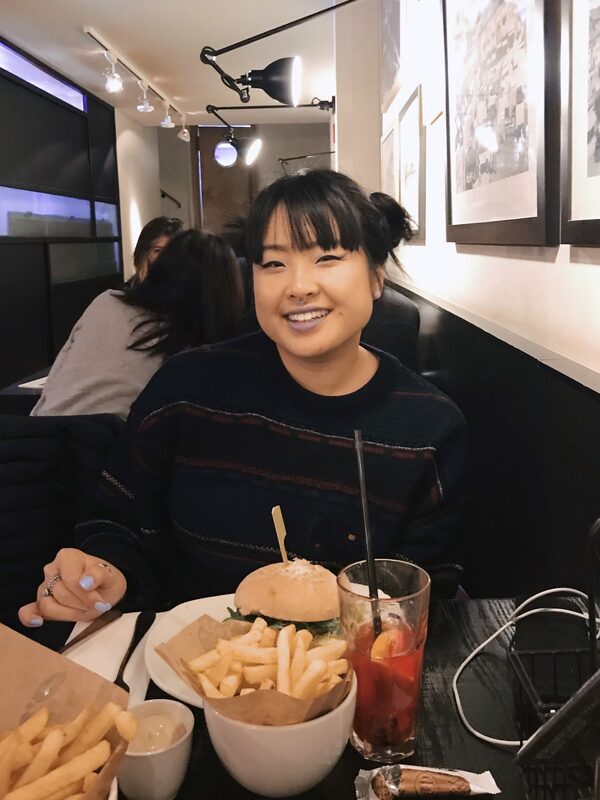 with a stroke of luck, we found ellis gourmet burger and it was just what we needed after a long day of barely any sustenance. we also tried another belgian delicacy, their famous frites! 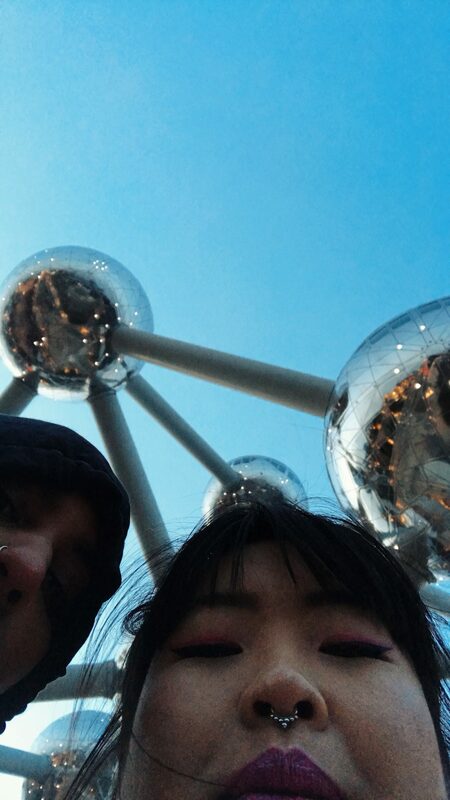 ’twas the perfect spot to round off our trip and i can’t wait until we either come to belgium again or are reunited on more travels!! p.s. 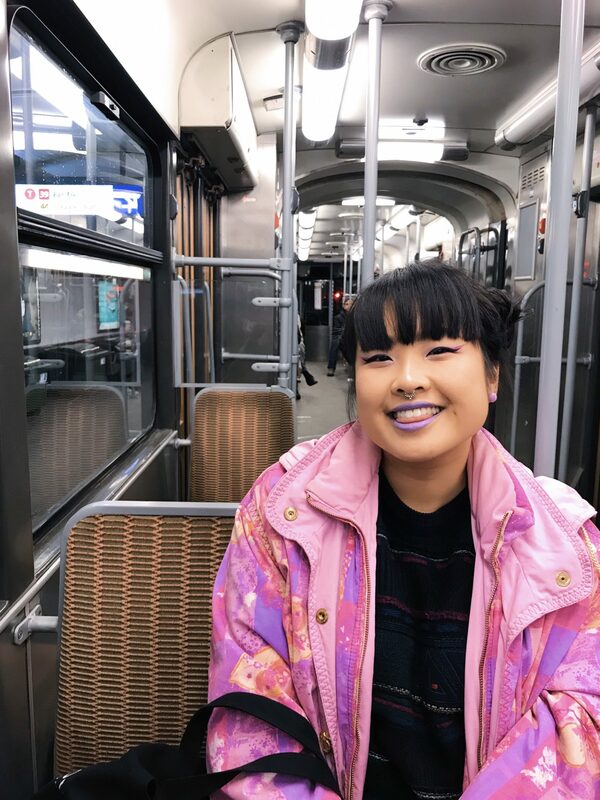 have any of you noticed that all my trips seem to consist of me wearing weather-inappropriate skirts in blindingly cold weather?